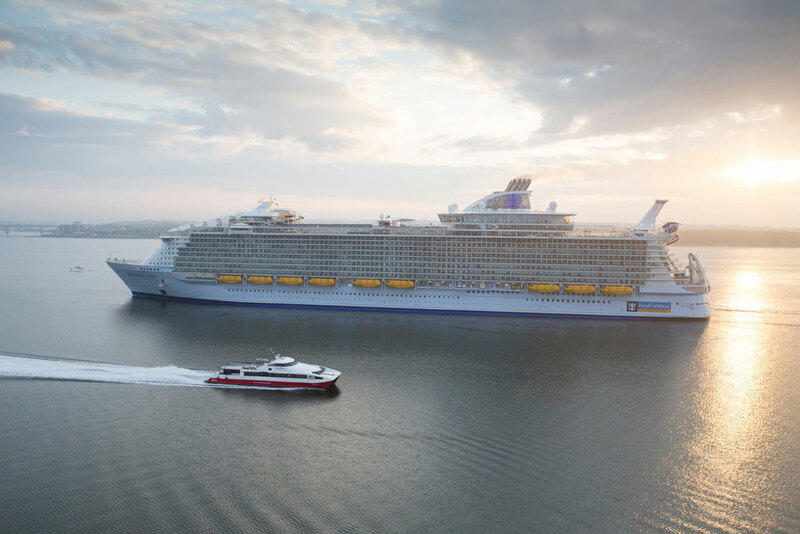 The newest and largest cruise ship in the world has arrived, Harmony of the Seas is about to begin sailing from Southampton, UK. 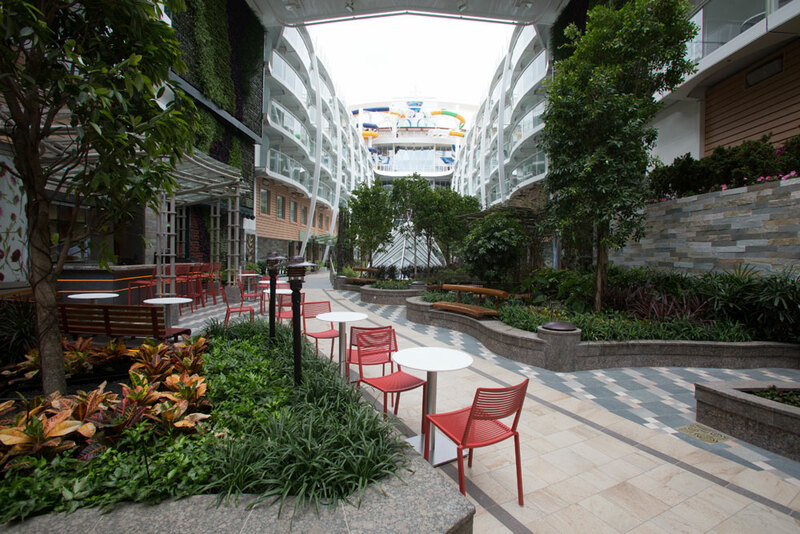 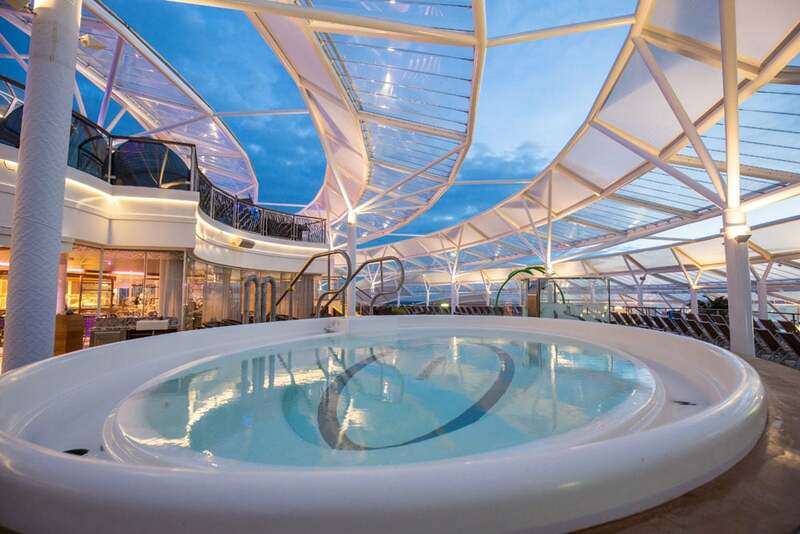 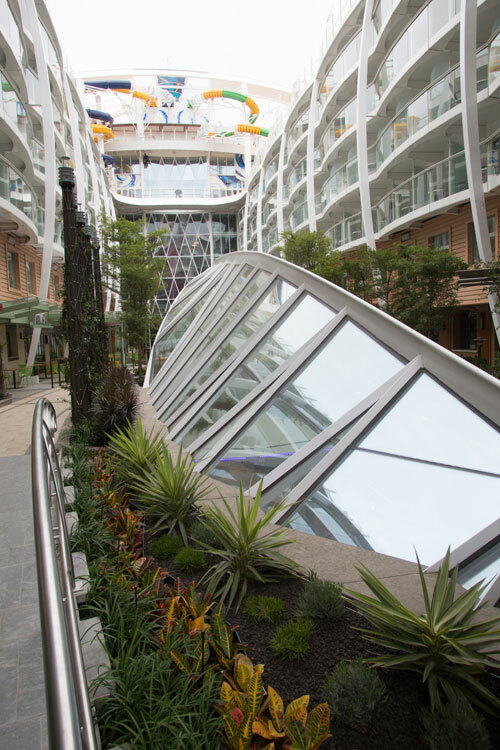 Now the ship is out of the construction phase and beginning its cruise service the cruise line has released some first look photos from onboard. 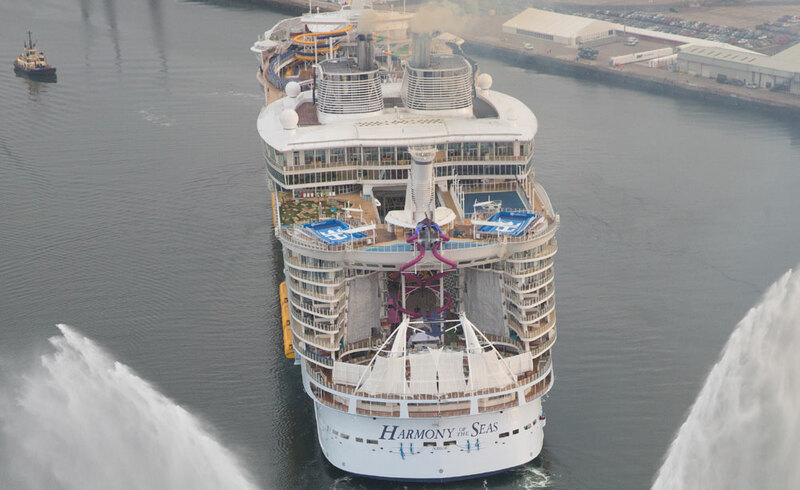 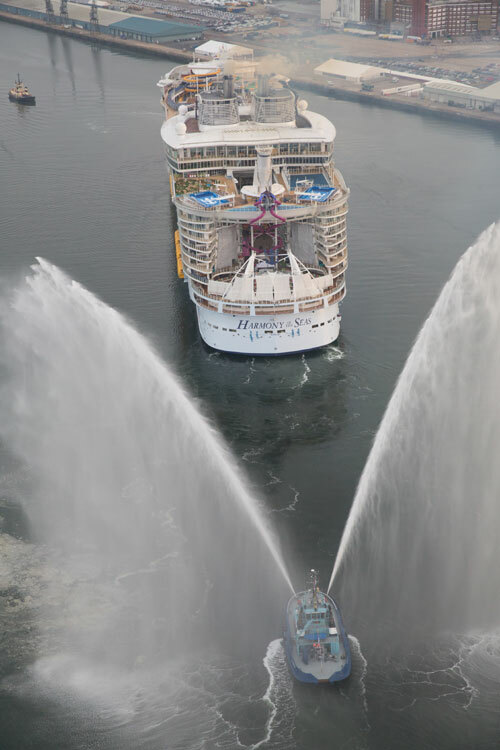 The photos from Royal Caribbean above were taken while Harmony of the Seas is in Southampton, UK. 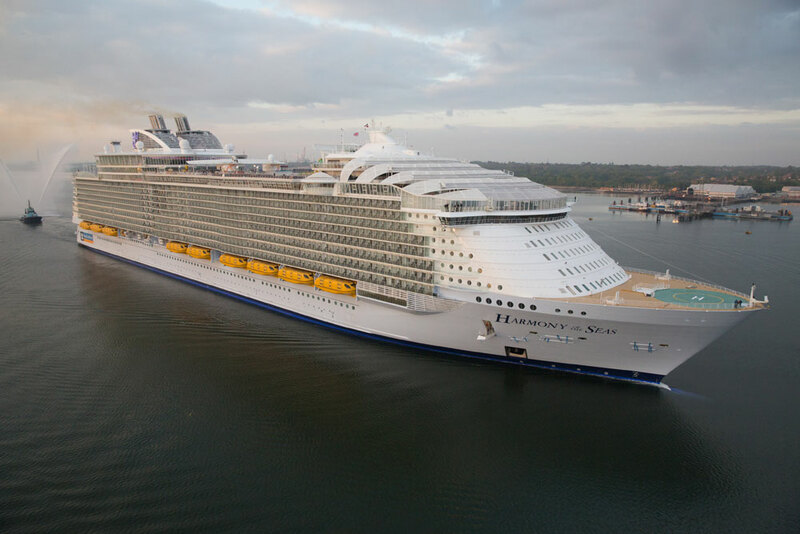 The 227,000 gross ton ship first arrived at the British port 2 days ago to begin a series of short cruises. 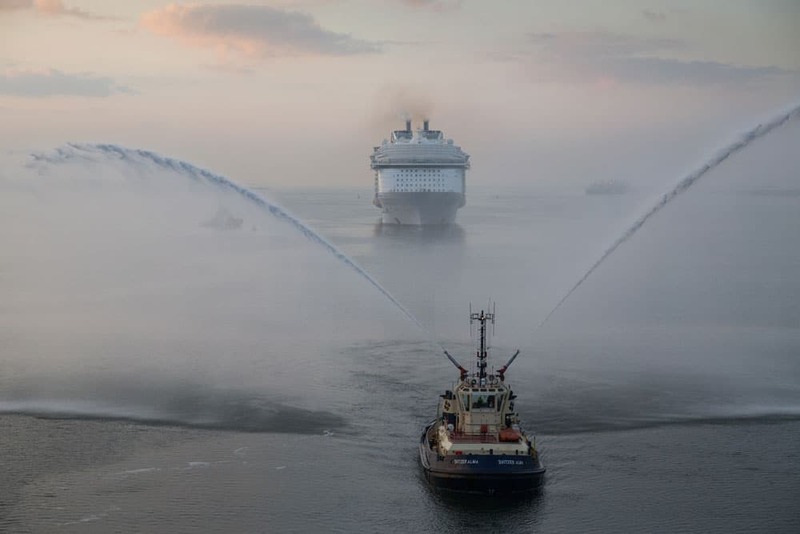 The vessel will then head towards its new home port of Barcelona, Spain where it will arrive on June 5, 2016. 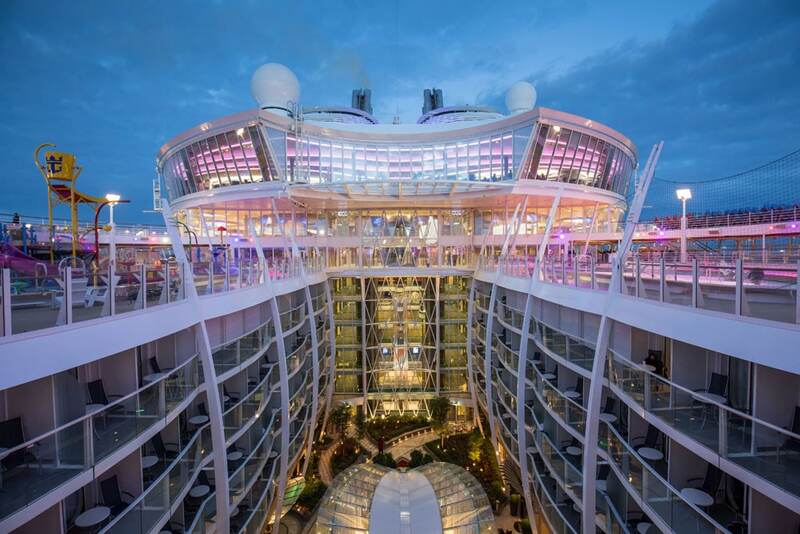 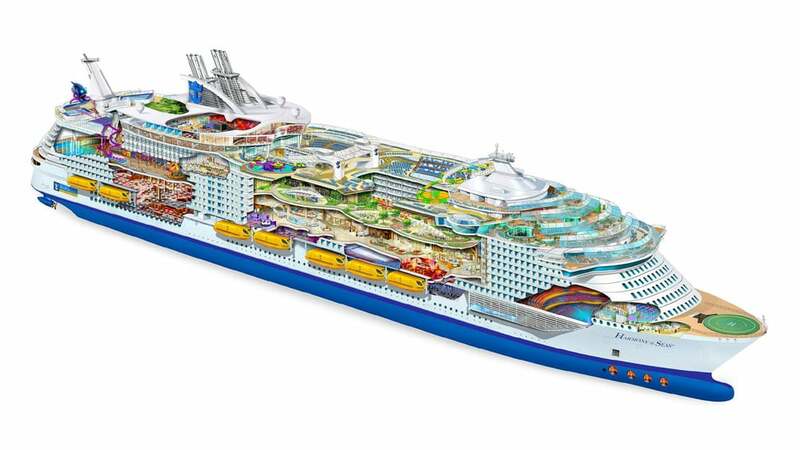 In November, 2016 Harmony of the Seas will begin Eastern and Western Caribbean sailings from its new home port at Fort Lauderdale, Florida. 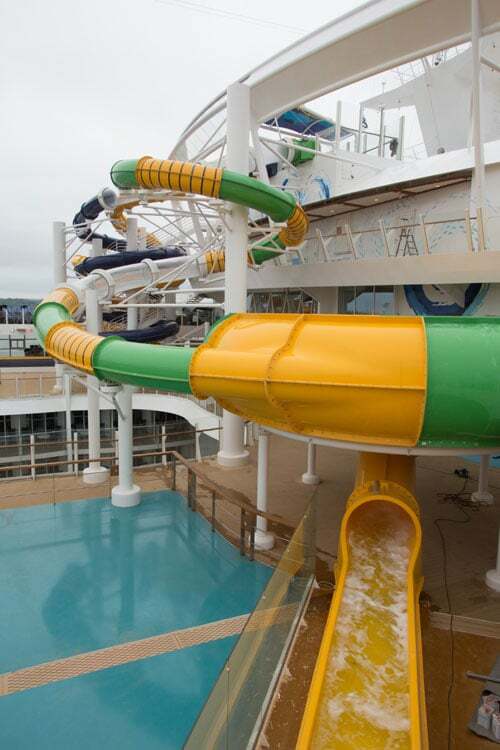 This will be the first time the Americans will be able to take full advantage of all the innovative features including the 10-story high Ultimate Abyss slide.